During the last decade we have witnessed a severe change in computing, as processor clock-rates stopped increasing. Thus, the arguable only way to increase processing power is switching to a parallel computing architecture, like the graphics processing unit (GPU). While a GPU offers tremendous processing power, harnessing this power is often difficult. In our research we tackle this issue, providing various components to allow a wider class of algorithms to execute efficiently on the GPU. These efforts include new processing models for dynamic algorithms with various degrees of parallelism, a versatile task scheduler, dynamic priority scheduling, and efficient dynamic memory management. Applying these findings to rendering, geometric processing, linear algebra and graphs, outlines the potential of dynamic GPU execution. Markus Steinberger is an Assistent Professor at Graz University of Technology, Austria, leading the GPU Computing and Visualization Group at the Institute for Computer Graphics and Vision. 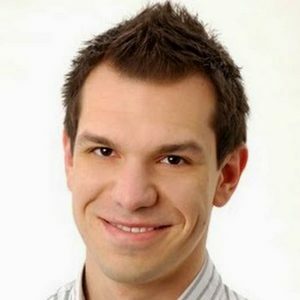 He holds an MSc in Computer Engineering and a PhD in Computer Science from Graz University of Technology. In 2013 and 2014 he was with the mobile computer vision research group of Kari Pulli at NVIDIA, California. After a short PostDoc in Graz, he led the GPU Scheduling and Parallel Computing Group at the Max-Planck-Center for Visual Computing and Communication in Saarbrücken, Germany from 2015 until 2017. His biggest honors include the promotion sub auspiciis prasidentis rei publicae in 2014, being the first Austrian to win the GI Dissertation Prize, and winning the Heinz Zemanek Prize. His research interests are reflected by the numerous awards won by his papers, including ACM CHI, IEEE Infovis, Eurographics, ACM NPAR, EG/ACM HPG, and IEEE HPEC best paper and honorable mention awards.